Can be used vertically or horizontally. 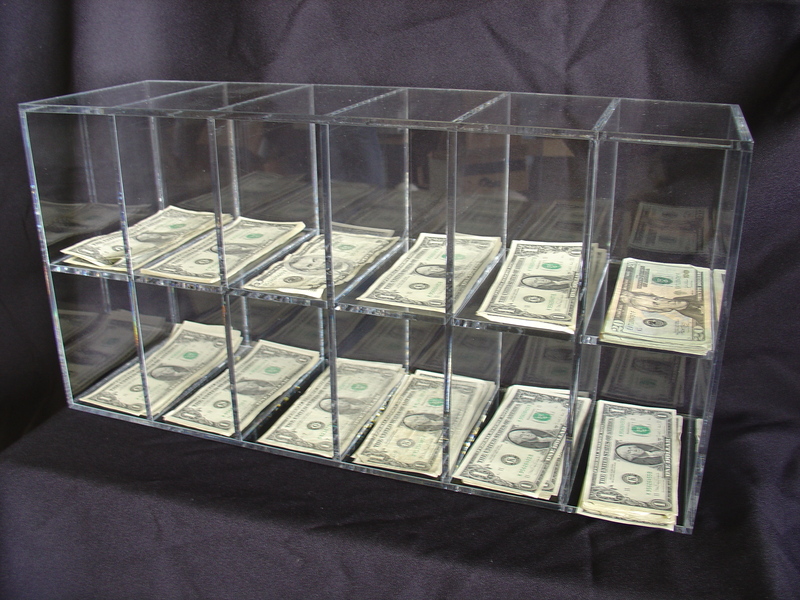 Clear cast acrylic design allows for surveillance of cash counting operation. 21-1/4" x 10-3/4" x 6-3/4"
21-1/4" x 5-1/2" x 6-3/4"